September 22, 2017 - Like us now! 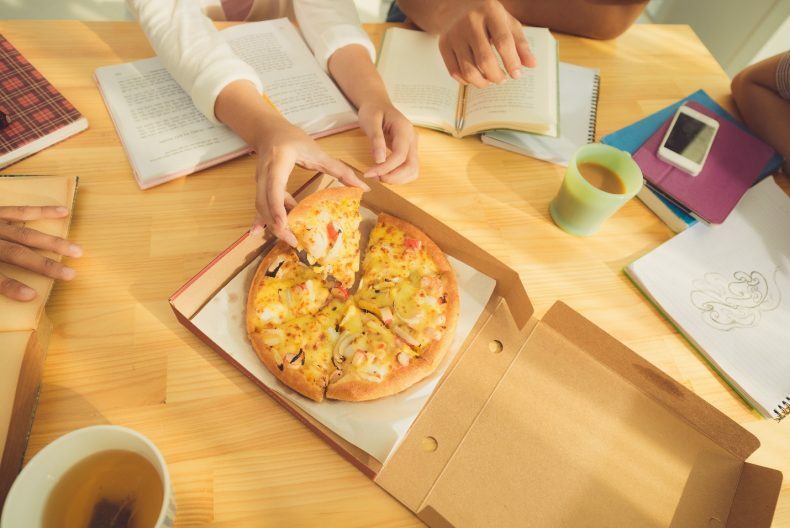 Food is, to no surprise, the first love of students — but what cuisines are really getting their taste buds tingling, and encouraging them to order in? And is there any difference between the ways students order in Pakistan as compared to rest of the world? 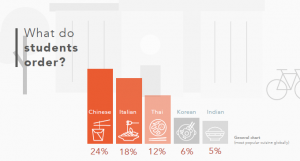 The data came from different markets and it was difficult to anticipate how varied the favorite cuisines would be. 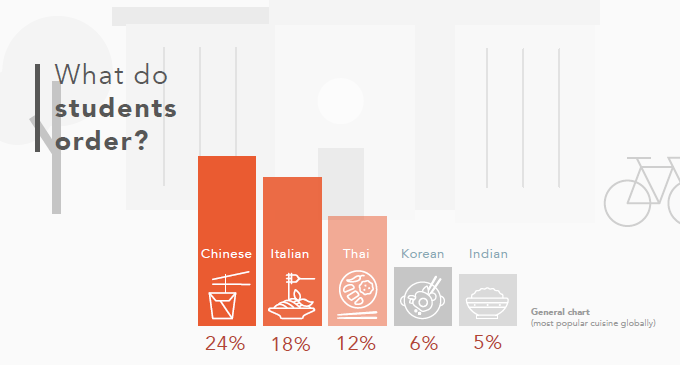 As it turned out, Chinese food is overwhelmingly the number one cuisine globally, with 24% of total orders. 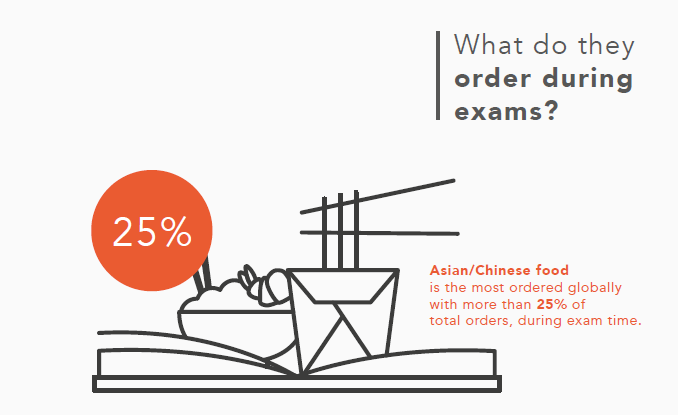 However, in Pakistan, particularly, fast food is the most popular constituting more than 54% of the student orders. Between studying and partying, when are students actually eating? The answer is: in most countries, hunger strikes strongest between 11 am and 12 pm and 6 pm and 8 pm. 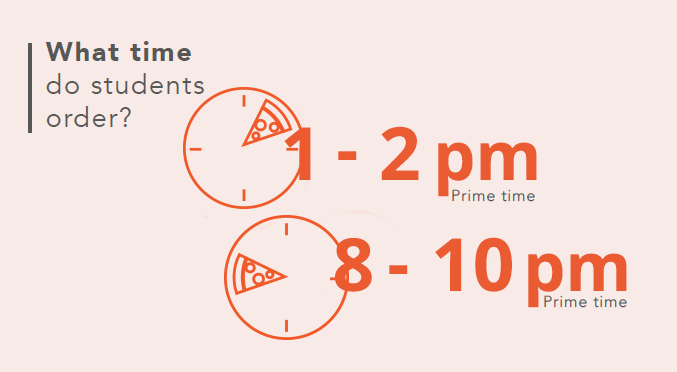 But students in Pakistan comparatively have a preference for ordering late dinner between 8 pm and 10 pm. 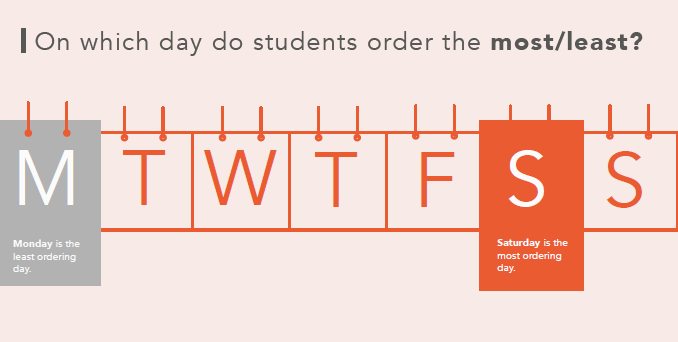 One of the major findings is that there is a growing popularity among students to order more. Due to the rise of food delivery within the food sphere, it’s never been easier for students to order good food from their favorite restaurants and Foodpanda makes this far more achievable than it perhaps once was. Saturday and Sunday are unsurprisingly the days of the lazy order, since Bangkok, Hong Kong, Karachi, Singapore, and Taipei all order big on weekends. 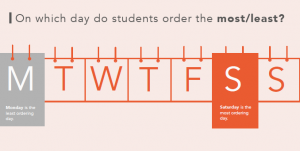 Students from Manila don’t have time to cook on Mondays and Kuala Lumpur and Dhaka students love to spoil themselves the most on Thursdays and Fridays respectively. And then we reach exam time. A time which is generally the most stressful period of the year, when students feel the need to relax with a good meal from their favorite restaurants. 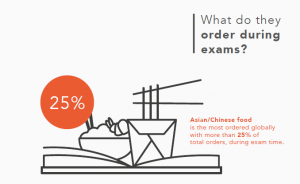 Seems like 25% of students globally are stress eating Asian/Chinese goodies, especially Singaporeans (23%), Hong Kongers (23%) and Malaysians (16%). However, students from Karachi, Dhaka, and Manila stay true to their fast food habits and order 56%, 55% and 43% of fast food respectively. Nowadays, students around the world live in such a fast-paced environment, where every minute matters. Different countries, different students, and different majors, but the eating habits of students in Pakistan stand out. This story has been brought to you by our sponsor.